Two words: sport and luxury. The VP Tower Series is the epitome of sport luxury with a perfect balance of pulling power, bow to stern style and best-in-class components. With the strength and security of the Patented All-Aluminum All-Welded Interlocking Deck System combined with the ultimate in styling and luxury, owners of Veranda Luxury Pontoons never have to choose between exhilarating performance and soothing relaxation. 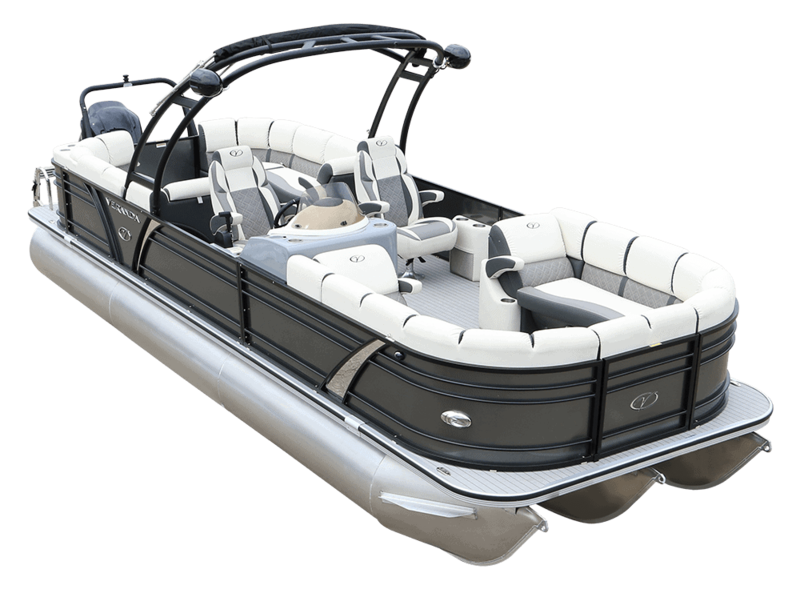 Whether splashing the lake for an action-filled day of water sports or an exhilarating cruise wrapped in ultimate sport luxury style, Veranda Luxury Pontoons 2019 VP RCT provides comfort, strength, and safety built upon the Veranda Luxury Pontoons Patented All-Aluminum All-Welded Interlocking Deck System. Be transported by the VP Tower Series, where water sports and pillow-top comfort meet. Approx. Weight 3,500 lb. 2,700 lb. Max. Person Capacity 15 / 2,115 lb. 13 / 1,833 lb. Max. Weight Capacity 2,929 lb. 2,647 lb. Fuel Tank Capacity 40 gal. 40 gal. Here are several ways to contact us. Our pontoons are built to last a lifetime, but don’t hesitate to contact us if you have any questions.